Today, what I’m about to do is walk you through several steps to making your money online. Even if you’ve never tried this, what I want you to do is just follow along and do what I say. Not going to ask you for any money, although there might be things you need to buy like web hosting and stuff like that. But what I’m going to do is I’m going to walk you through everything step-by-step. If you can follow these simple instructions I will take you to the path of making money online. First and foremost, we need to get you a starting point. In this video I’m going to do three things. 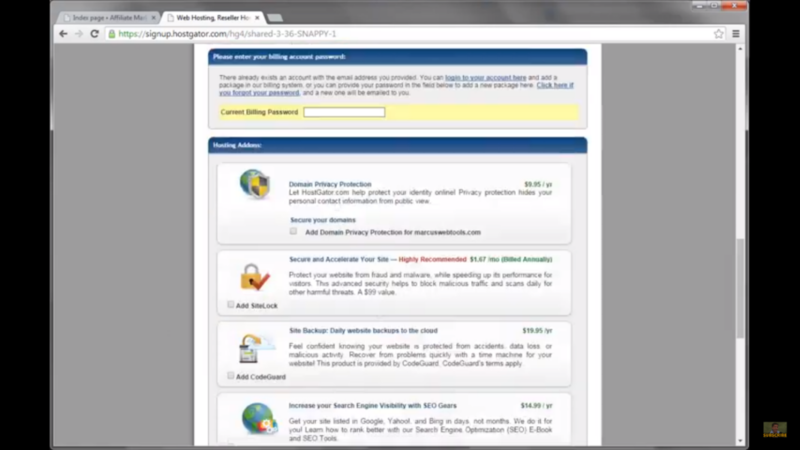 I’m going to show you how to get a hosting account and what it’s for. 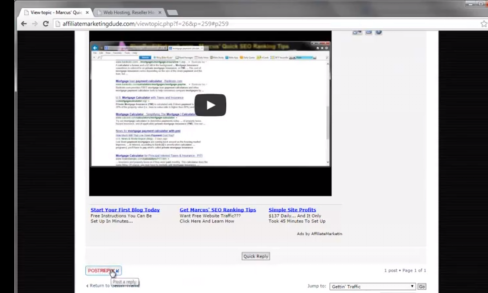 I’m going to show you how to get a domain name and one that unique. If you’ve gotten through all this before, don’t worry just do it again exactly like I say here. Again, the idea is to shut up and listen. Don’t question it. Just do what is outlined in each video. Each video will be less than five minutes, so you can follow along do something, and get the results that you want. I’m going to have a link below this video. 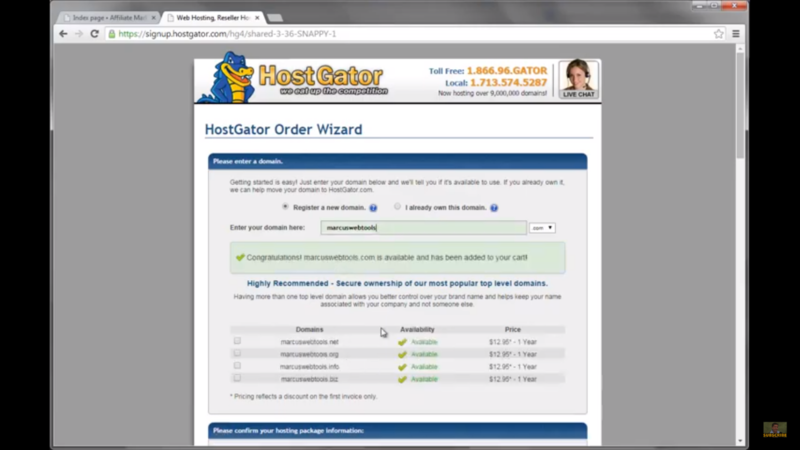 I want you to click this link because it’s going to take you to a special page on the Hostgator website where you can get the plan that I recommend. That is a shared plan it’s going to look like this. What I want you to do is I want you to take a look at the different ones. We’re going to go with the second one which is the baby plan. It’s about six bucks a month. It gives you unlimited domains. A hosting is a server that actually holds your files and everything like that. We’re going to go into that in the next video but for right now, follow along. We’re going to click the order now button just like this. Now, I want you to pick a random domain name with something that you’ll remember. For me, Marcus’s new site or something like that. It could be anything with your name. We could do Marcuswebtools. Just make sure it’s available and it looks like .com is available. We’re going to get this domain name. 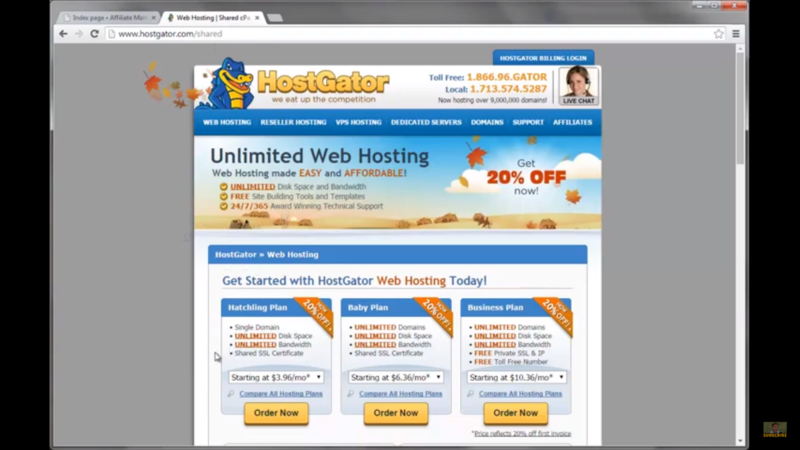 We’re going to register it at Hostgator. Makes it nice and easy. We’re going to scroll down. Choose how you want to pay. If you want to pay through three years in advance, it’s going to cost more. So we’re just going to do monthly. That means we’re going to get started for $7 plus the cost of the domain name. So for like less than 20 bucks, you’re in business. We’re going to choose a username. I’ll do Marcus11. We’ll choose a security pin. Then, we’re going to put in our billing info. You could pay with PayPal, credit card, whatever. So fill in all this info. Below, you’re going to get all this junk here. If it says current billing, just use a different address or something like that. We don’t want any of this other stuff. We don’t need any of it. So we’re just getting the baby plan and our new .com name. Don’t spend too much time. The domain doesn’t matter. Just something easy to remember like Frank’s web tools, Marcus’s web tools, John’s web tools whatever. Something that’s available, something that’s easy, .com, .net or .org. Don’t get anything else. Unless they have like your name.me, maybe you could do that. So there we go. We’re going to go ahead and fill this out. Again, we don’t need any of the add-ons or anything like that. We’re going to read and it’s about $20.91 to get started. We’re going to read the terms and conditions. Click the button and hit create account. Once you create this account, it’s going to take a couple of hours, sometimes sooner. Then they are going to give you your logins. After you get your logins, for those of you who are ready to shut up, listen and make money, after you get your logins, what I want you to do is go below this video on my forum. So you’re going to see the video like this. This is the video you are watching. Then down below, you’re going to see post reply. Make sure you’re logged into the forum, if you don’t have an account, it’s free. I want you to post a reply and say, “Marcus, I am ready. Here is my domain name.” Then I would put Marcus’s webtips.org or whatever the domain I chose. Now put a smiley face, let me know you’re ready. Hit submit and I will send you the next video. Follow along. Trust me, you’ll be making money in no time. Now the hosting link below is an affiliate link and I am compensated that is your way of saying thanks to me by going through the link and buying things that you need to buy anyway and let me help you out. So click that link, follow the directions, post your reply and I’ll see you in the next video!